CHICAGO (AP) — Chicago Public Schools officials ended months of speculation when they released the list of 54 schools the city plans to close, but the pushback against Mayor Rahm Emanuel and his schools chief is likely just starting to ramp up. As word of the schools on the long-awaited closings list trickled out Thursday, parents, teachers and community members — some furious, some in tears — vowed to fight the closings. One group took a bus of people to protest in front of the homes of school board members, and some parents spoke of a lawsuit. The Chicago Teachers Union already had scheduled a mass protest march through downtown for next week. 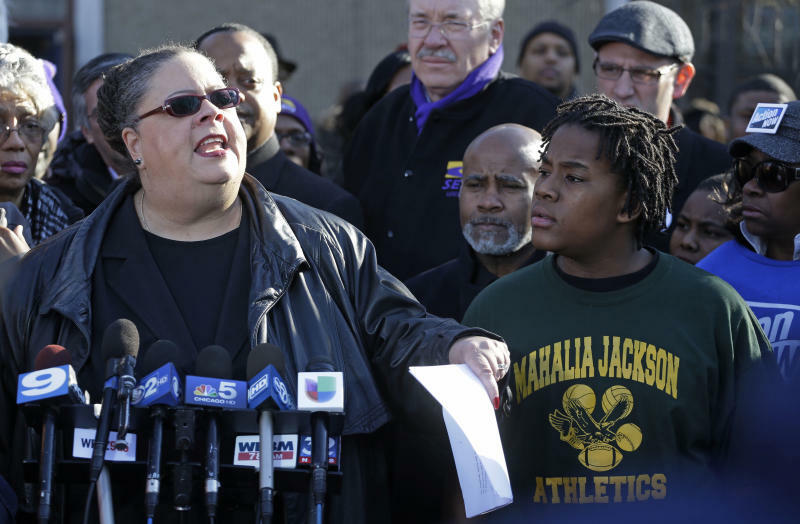 "We are the City of Big Shoulders and so we intend to put up a fight," union President Karen Lewis said. "We don't know if we can win, but if you don't fight, you will never win at all." Emanuel and schools CEO Barbara Byrd-Bennett say the closures are necessary because too many Chicago Public School buildings are half-empty, with 403,000 students in a system that has seats for more than 500,000. But opponents say the closures will further erode troubled neighborhoods and endanger students who may have to cross gang boundaries to attend school. The schools slated for closure are all elementary schools and are overwhelmingly black and in low-income neighborhoods. 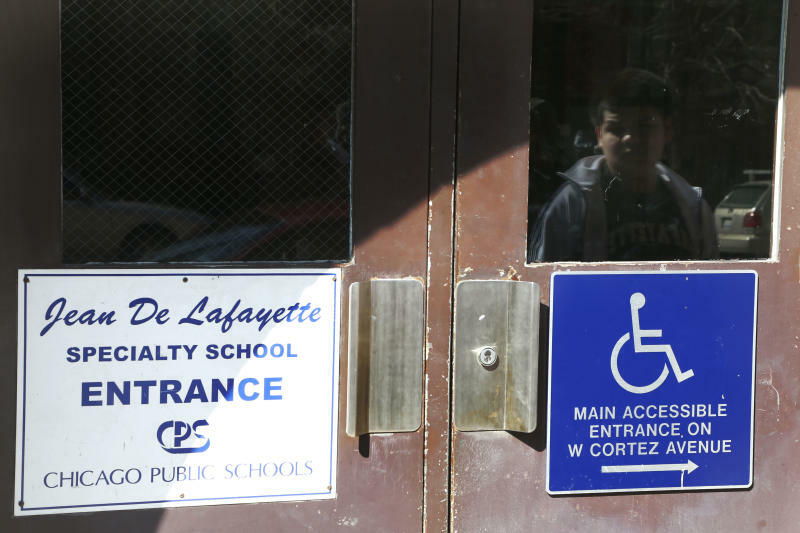 CPS officials say money being spent to keep underused schools open could be better used to educate students elsewhere as the district deals with a $1 billion budget deficit. The district says it will invest money to improve schools that are welcoming new students. The funds will be used to add better technology, air conditioning, tutoring services, increased security and other services. CPS says it also will ensure every school has a library and that students no longer are learning in dilapidated buildings. "We know this is going to be difficult, but we believe it's the right thing to do," said CPS spokeswoman Becky Carroll. "I'm sure any parent would stand up and say they want a better education for their child. And in order for that to happen, we have to do this and move on." Chicago officials have moved to close schools in the past, but never anywhere near the number designated at one time by the Emanuel administration. Former Mayor Richard M. Daley's administration spread school closings over a number of years. CPS, the nation's third-largest school district, now has 681 schools. The issue has again pitted Emanuel against the Chicago Teachers Union, whose 26,000 members went on strike early in the school year, idling students for seven days. Chicago aldermen and other lawmakers also have blasted the plan. 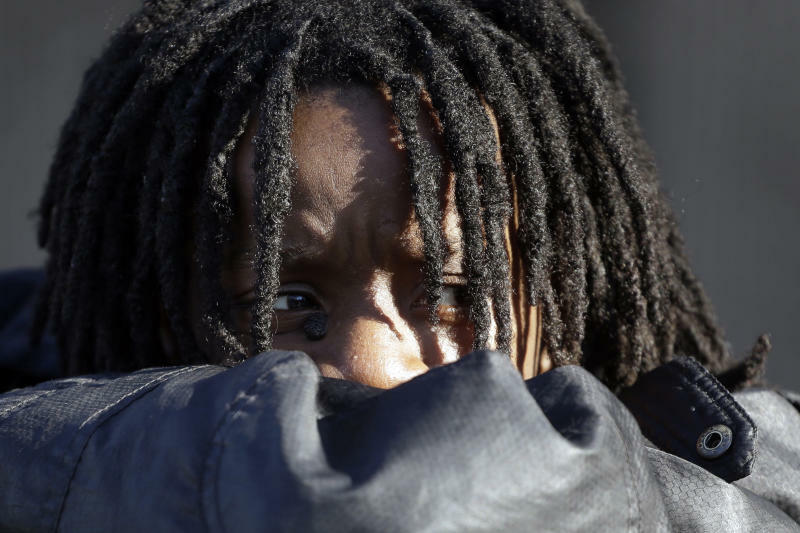 Among the critics is Eular Hatchett, who lives in the violence-plagued neighborhood of North Lawndale and walks her 13-year-old nephew DaVontay Horace to school. "Our parents know about this area," she said. "They don't know about those other areas. If they send him way north or way south, I'm not going to do that. It's too dangerous." Because some schools have more than one building, a total of 61 structures will be closed. In addition to the closures, students at 11 other schools will be "co-located" with existing schools. Six schools have been targeted for academic interventions known as "turnaround." The vast majority of the 54 schools are in overwhelmingly black neighborhoods that have lost residents in recent years. The city's black population dropped 17 percent in the last census as African-Americans moved out to the suburbs and elsewhere. The other few schools are majority Hispanic or mixed black and Hispanic. Overall, 91 percent of Chicago public school students are minorities. CPS says the plan will save the district $560 million over 10 years in capital costs and an additional $43 million per year in operating costs. District officials said they couldn't calculate how many teachers will be laid off as a result of the cuts because school leaders will make decisions about their own budgets. Rosemary Maurello, a teacher at Lafayette Elementary, said she's worried about where her students will end up after that school closes. As a tenured teacher, the contract allows her to follow her students to their new school, but she wonders whether some of them will opt to go to other schools instead. The district has plans for community organizations to help students get to their new locations safely, but Maurello wonders how long that will last. "I truly believe that it's going to be chaos," she said.